It may not be a secret for anti-corruption practitioners that Sweden faces much less corruption than most other countries. Nevertheless, corruption in Sweden exists and varies considerably across the country. If one decides checking the media, Swedish corruption scandals might not be seen as very sensational (just to compare a bribe of hunting fee in Sweden to millions of dollars bribes all over the world). However in the context of Swedish business climate, there are real examples of impropriety and corruption. The IMM Annual Report, which, unfortunately, only available in Swedish, illustrates that other illicit practices could happen in Sweden. A skeptic might think that Sweden is not a good case for studying corruption and prevention thereof. However, in my view, Sweden, as well as other Nordic countries, present a phenomenon, which should be learned in details. Somehow they have very large public sector, interventionist governments, and large bureaucracies with lots of discretionary power over diverse regulations. Yet, despite this Sweden is the 6th least corrupt nation out of 175 countries, according to the 2017 Corruption Perceptions Index reported by Transparency International. Corruption Rank in Sweden averaged 4.13 from 1995 until 2017, reaching an all-time high of 6 in 2001 and a record low of 1 in 2008. In my view, the Swedish phenomenon mainly derives from the great freedom of information and transparency and IMM significantly contributes to this for over a century. The IMM was founded in 1923 with the mission to promote ethical decision processes within business as well as within the rest of the community, and to prevent the use of bribes and other types of corruption as a means for affecting decision processes. 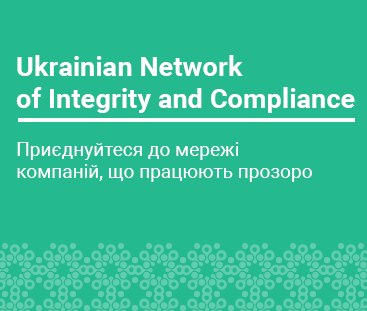 Further, the IMM supports organizations in implementing anti-corruption standards through adoption of IMM Code of Business Conduct. The IMM also organizes trainings and seminars for the business sector, local authorities, and social employees to promote ethical standards and discuss specific cases. Understandingly, corruption is not a significant obstacle to business in Sweden, regarded as almost non-existent, and, obviously, not part of cultural tradition. With the recent legislative changes in force, Sweden seems to have strong but still very soft legislation against bribery. Therefore, to promote a more comprehensive standard than it is stated under the Swedish law, in 2012, the IMM developed the Code of Business Conduct. The IMM encourages organizations and business associations to adopt their code or elaborate own codes accounting for their specific spheres and issues. Organizations consult with the IMM experts about proper implementation of the code and specific actions in challenging situations. In particular, the IMM Ethics Committee is gathered for specific purposes when companies want to solve some ethical dilemmas or have specific questions regarding the code. For instance, the ethics of gifts and hospitality is something Swedes are working on currently. In this regard, the IMM does a tremendous work of consulting with experts about better implementation of the code and specific actions in different situations. The experts' opinions of the IMM Ethics Committee are, in my opinion, clear and to the point, and may easily be used as case studies not only by the Swedish companies, but also across the globe. Still, a high anti-corruption score does not mean that the Swedes can beat their chest and say they are the best student in the classroom. Good can get better and there is plenty to work on. Since 2010, the IMM has continuously collected and summarized cases of corruption and published them with the supporting comments on its website in order to increase awareness and prevent corruption. In 2017, the IMM has also produced the Review of the corruption-related court decisions to provide a picture over corruption and its trends during a year. The mentioned case review contains aggregated statistics and, among other things, lists sectors in which prosecution has been initiated, how many judgments relating to corruption were passed and the extent to which companies have been punished. The infographics, although being self-explanatory, is available in Swedish only. Let me just briefly mention the key numbers: in 2017, only 33 decisions in corruption-related cases were passed by the district courts and by the Court of Appeals. 77% of cases arose from the private-to-government relationships. The major part of violations took place in the most economically active city – Stockholm. The most vulnerable areas appeared to be the following: 19% - healthcare, 13% - construction, 19% - transportation. The highest corporate fine in 2017 was KR 150 k (approximately EUR 15 k). Being impressed with what the IMM does in terms of promotion of compliance, I decided to address Natali Phalén, the Head of the IMM, to find out more about the current compliance culture in which the Swedish companies operate. Want to find out about compliance in Sweden from the first hand - read my next post - interview with Natali.